This policy covers the services that are offered by BusinessDay well as other services provided under the BusinessDay brand including BusinessDay Research and Intelligence Unit and BusinessDay Conferences & Events and social media pages. We’re committed to keeping your information safe and we keep this at the center of our design process. We are constantly evaluating the best options available to media companies when it comes to guaranteeing the safety of our most important stakeholders, you. That said, no service can be completely secure. If at any time, you feel your personal information is at risk, for example, a concern that someone got a hold of your password, you should contact us immediately. We’ll be happy to guide you through your options for changing your password. While our data centers are located in The United States for now, some of our partners or service providers may choose to host and process your information in a location outside of Nigeria. 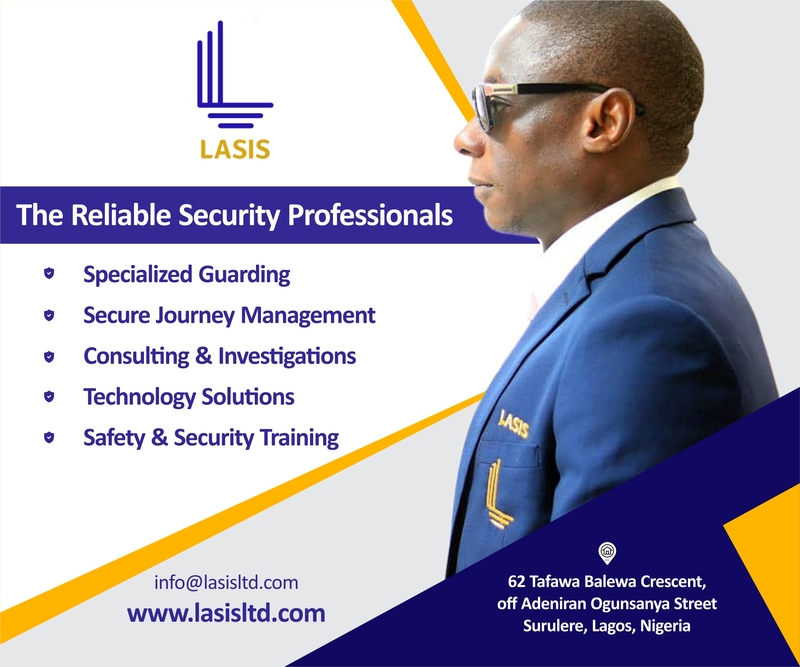 Security is a critical factor when we consider who we work with, Some companies that provide services to us run their services from outside Nigeria/the European Economic Area. We only let that happen if we are satisfied with their levels of security. Keep in mind that when you give us personal information it could be transferred, stored or processed in a location outside Nigeria/Africa/the EEA. What types of personal information does BusinessDay collect about me? Every time we ask for your personal information, we’ll give details about why we need it and how we’ll use it before you begin. Most frequently we will ask for information like Name, date of birth, and contact details. Occasionally, depending on what you’re signing up for, we may ask for other information. For example, if you’re signing up to receive an Election Newsletter we may ask you if you have your PVC. This will always be very clear. An example such as BusinessDay being mentioned in a Twitter post, your Twitter handle will be collected. What if I have a BusinessDay account? information about how you use our services, as the articles you read and the programmes you subscribe to. 5. How long will BusinessDay keep my personal information? * We only hold your information for as long as we do the activities we told you about or have a valid reason to keep it. * We think about what type of information it is, the amount collected, how sensitive it might be and any legal requirements. * We may close your BusinessDay account if you haven’t used it within a designated period of time. We’ll always send you an email to tell you that we plan to do this before we delete anything, so please check to see if we’ve sent you any emails about this. 6. How can BusinessDay use my personal information? * It fits with the rights you have. We learn from you daily and knowing how you use our services could help us build better products for you. 2. When will BusinessDay use my information to contact me? * To update you on any changes to the BusinessDay’s policies, practices. * To check with you about any service or activity you’ve signed up for. * To contact you about a news tip or creative you sent us. * To answer you when you’ve contacted us, or to respond to a comment or complaint. * To invite you to take part in surveys about BusinessDay services, which are always voluntary. * To send you notification of events or new products you might enjoy. We’ll never contact you to ask for your BusinessDay account password. If you’re a subscriber you’ll receive a regular morning and evening brief of the news and top stories. If you’ve transacted with BusinessDay in recent times you may occasionally receive a reminder about how you can help support our journalistic mission by paying for a subscription. Other than on those occasions, we’ll only send you marketing emails or contact you about BusinessDay programmes, services and your views on issues about the BusinessDay if you’ve agreed to this. Will my personal information be used when BusinessDay advertises with other companies? If you have a BusinessDay account we might use information that we hold about you to show you relevant and “targeted advertising” through other companies’ sites, like Facebook, Google, Snapchat or Twitter for example. This could be showing you a BusinessDay advertising message where we know you have a BusinessDay account and have used BusinessDay services. If you don’t want to see our targeted advertising, you can set ad preferences in your social media companies’ settings. Also, you can visit your BusinessDay account and turn off personalization, but it will also turn off all personalized services. 9. When does BusinessDay share my personal information with others? To access our services through a voice-enabled device, like Amazon Alexa, you need to connect your device to your BusinessDay account. We’ll share an identifier for your BusinessDay account with the voice service. It’s completely up to you if you want to use the BusinessDay in this way. 10. What’s different for kids and teens? BusinessDay has services that are appropriate for all ages. Here’s what happens when you use them. 1. Why do we collect information about you in the first place? For example, if you’re under 13 and your parent or legal guardian has asked to see every content you upload, we’ll share it with them before it goes public. * We keep a record of how you’ve used our services, but this information can’t be linked back to you. * We also keep anything you’ve uploaded or commented on. 1. What about other information I’ve shared with you? We might have collected other personal information that you might ask to be deleted that has nothing to do with BusinessDay account. * Request a copy of your information. * Not let robots make big decisions about you. * To ask us to correct information that’s demonstrably wrong, to delete it or to request that we only use it for certain purposes. * To change your mind, and ask us to stop using your information. For example, unsubscribing from any marketing emails. 14. What are cookies and tracking technologies? * To remember information about you, so you don’t have to give it to us again. And again. And again. 1. How do I control my cookies and tracking? Stopping all cookies might mean you can’t access some BusinessDay services, or that some of them might not work properly for you.